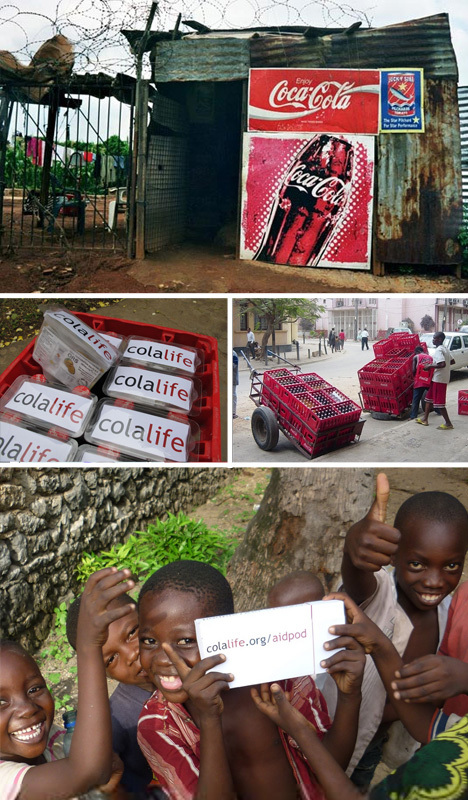 It is a strange fact that Coca Cola is so widely distributed it is easier to obtain in some places than clean water. 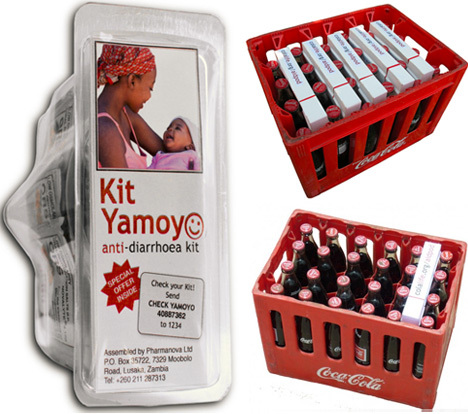 That powerful distribution network has sparked a brilliant packaging idea: utilizing empty space is Coke shipping crates to house vital medication. 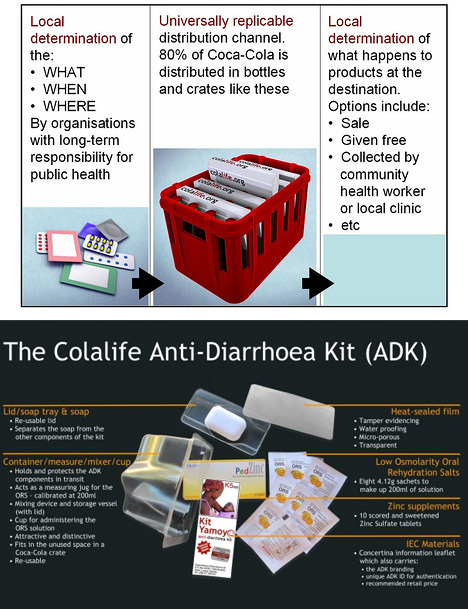 Like a pathogen finding a way to sneak a ride in past an unsuspecting immune system, ColaLife packages slips into the interstitial space between bottles to provide diarrhea medicine, addressing the second biggest contributor to childhood mortality rates in many parts of Africa. Unlike many design projects, the point is not what specifically is sent out, but how things can be shipped (the ‘what’ comes second). 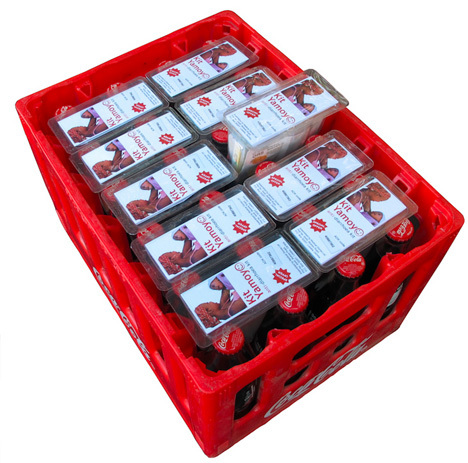 Simon Berry credits his wife with the essential and (only in retrospect) obvious realization that the best way to piggyback on Coca Cola’s established process was to use the leftover area in the crates they are already shipping. Thus the AirPod was born – a small and strangely-shaped packaged made to be wedged in that extra sliver of void. For now, the kits are subsidized as the system proves itself workable. But aside from donor contributions, at just $1.00 US, these life-saving packages may yet be profit potential for retailers in the developing world. Either way, they are breaking ground toward future social entrepreneurship possibilities.